So I've eaten at Al Bandar many times but never been super impressed with the food. It's so popular with everyone that I somehow keep ending up here! So I was talking with H about it and she told me about their chicken shawarma dish. I feel like shawarma is not something to usually order at such a fancy restaurant but she said it was amazing. I ordered it. It is AMAZING. It's only 25QR, much cheaper than most items on the menu, and it's incredible. Sure I've had incredible shawarma from shawarma shops but this one is really different and a sort of "gourmet shawarma." I totally recommend trying it and it's great to share with everyone as an appetizer! 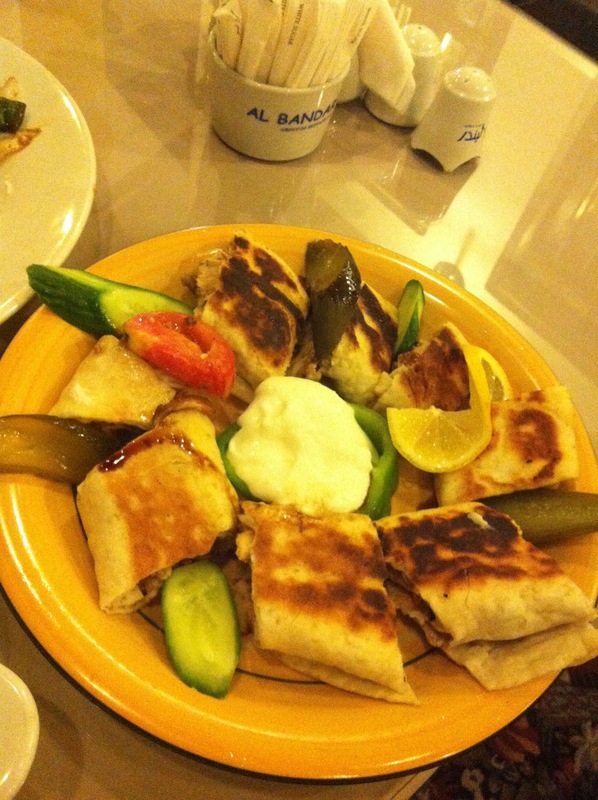 Now I know that I'll be going all the time to Al Bandar for this chicken shawarma...!